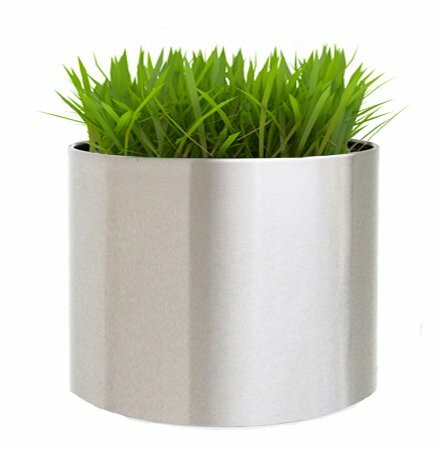 Brushed stainless steel planter, well suited for interior design as well as garden decor. Sharp, modern design with an easy-to-clean exterior and a waterproof lined interior. XL size perfect for commercial and residential use. SHIPS SAME DAY if in stock and ordered M-F by 1 p.m. CT. If you have any questions about this product by NMN Products, contact us by completing and submitting the form below. If you are looking for a specif part number, please include it with your message.